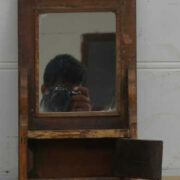 A stunning carved frame with Mirror. This is an attractive colourful mirror which has large deep carved patterns within the frame work. 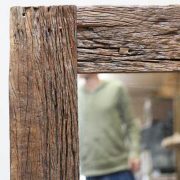 The frames timbers have been salvaged from disused buildings and contain colours such as red, green, blue and white. 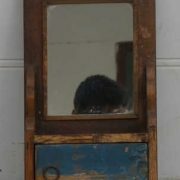 There are two simple fixings to hang this mirror as portrait.